William McGee has settled thousands of Lemon Law cases over the years, all to his clients satisfaction. The following is a sampling of the scores of “thank you” notes/letters we receive from our clients each month. These are the Law Offices of William R McGee client testimonials… California Right to Privacy Laws, Attorney-Client privilege, and Trademark/Copyright regulations prohibit us from divulging client’s full names. Attached PDF document is the signed release and agreement. I truly appreciate your help and effort with helping me out to resolve and finalize the issue with my Pro Master cargo van. It was pleasure to meet you, Randy, all your team and work with such an experienced and knowledgeable attorney. Thank you so much for a job well done! A 3 year old car with 11,000 miles on it, and we got back all we paid! It could not have turned out better. Our initial start with another firm we found on the web, set us back 5 weeks because he was a one man show, and just wasn’t responsive. Your extensive team was stellar. From the great communication – even on the weekends, to the highly professional follow-through, all the way to the end. If not for the stalling by Ford, I’m convinced you would have finished our case far earlier. Thanks also for answering all our many questions, you never once made us feel like we were bothering. Good job guys, you come highly recommended. I wanted to take a moment to recognize your staff for all their efforts in getting the manufacturer to buy back my 2008 Nissan Frontier. From the very first gentleman (forgive me for not having their name) who reached out to me upon my initial email to your office, to Laura, and your receptionist Angie helping guide me through the process and wrapping things up, I am very grateful for all of them. I value each one’s individual effort and in particular Laura and others who kept me informed, were always timely and friendly in their communications, and helped set proper expectations on the next steps throughout the process. I am very impressed and humbled by their efforts on our behalf. It is important for me to send you this note, because your incredible team took it to “Goliath”, and justifiably so, on behalf of my wife’s safety, and accomplished what seemed an impossible task for me to do alone. Thank you again, and I hope you will take a moment to personally recognize all those who worked so hard on my behalf, and provide them a sense that their work is valued by those they represent. You have great reason be very proud of them. I will certainly keep your contact info. in my files, should anyone I run across ever be in need of your services. I just wanted to thank you and your professional staff for handling my Lemon Law claim. I tried to resolve my complaint with GM as a consumer but couldn’t get anywhere, they offered me a free oil change for my trouble but nothing else. I then turned to you for help and you settled by having GM repurchase my vehicle for the original purchase price minus a few hundred dollars and your minimal fee. The settlement exceeded my expectations. I was especially impressed with how your staff worked as a team, they were very positive, kept me informed and were always available. I spoke with several members of your staff along the way but special thanks to the attorney who closed the deal. Thank you so much. Thank You. Thank You. Thank You. I am finally driving a car that does not have a ‘check engine light’ illuminated! What a relief! In December 2008 I purchased a Certified Pre-Owned Jaguar XKR convertible. It was the fourth Jaguar I had purchased since 2000. Almost immediately the car starting having problems and the trips back and forth to the dealer for warranty work started. Although the dealer kept repairing the issues the problems kept coming. In fact, within a few months I even received a recall notice and took the car to the dealer to have the emissions system repaired – – and that is when the ‘lemon’ problems really started. By the beginning of September 2009 I had taken the car to the dealer so many times that I determined I was stuck with a lemon. Being a four-time Jaguar owner I concluded that it would be logical for Jaguar to deal direct with me, take care of the problems and reward my loyalty to their brand by replacing the car with another Jaguar. In fact, the owners and staff at the dealership even advised me to ask Jaguar to purchase the car back. I contacted Jaguar consumer assistance by phone and also wrote them a very nice, detailed letter about my experience with this car and with Jaguar since 2000. I even explained to them that I truly believed that any manufacturer can have a lemon car out there and that three of the four Jaguars I owned were wonderful vehicles. In fact, I told them that 3 out of 4 good cars would be a .750 success average and that type of batting average would put them in the Baseball Hall of Fame as the best player in history! I specifically suggested that they might want to deal directly with me and avoid the expense of getting lawyers involved in the case to save us all a lot of time and money. I googled the internet under ‘California lemon law attorney’ and discovered that there were literally hundreds of listings for attorneys who wanted to handle my case. I was totally stumped at who to contact and decided to research a bit further. 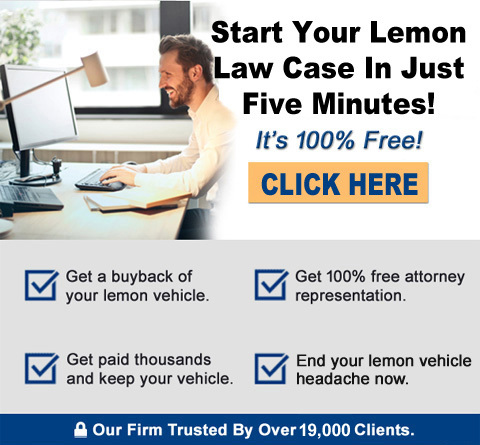 I dug deeper and figured out which attorneys were actually handling lemon law cases back when the law was first introduced in order to find the ‘real lemon law attorneys’. That is how I found the McGee Law Firm. My first calls to the office was answered by Angie and James who were extremely helpful and knowledgeable and gathered the basic information about my case for Mr. McGee to review. Within 24 hours of my initial contact my case was reviewed and I was contacted by Mr. McGee. Based on our discussion I decided to retain the firm and by October 15, 2009 we were officially working together. The case took another seven months to finalize and your office kept pushing Jaguar, and represented my case in a way I never could have done myself. By the time we reached a settlement, my car had spent over 160 days in service and the check engine light was still on! Jaguar did everything possible to discourage me along the way and drag the case out hoping to get me to just fade out of the picture. However, I hung in there and we eventually prevailed. On May 7, 2010, with Laura’s help, I finally delivered the ‘demon lemon Jaguar’ back to the dealer and gave them the keys. I had my settlement check in the mail a week later. Needless to say, I did not buy another Jaguar. Thanks again for being a ‘true specialist’ and knowing the right buttons to push. It really is true – it’s not what you know, it’s who you know! I had no idea where to start when I initially began searching for a reputable lemon law attorney. I wanted someone competent, patient and knowledgeable. I searched the internet for law firms and found many of them, but remembered hearing something about “California’s Largest Lemon Law Firm” – so I decided to call the law offices of William R. McGee. The testimonials on your website were what sealed the deal for me. The glowing praise gave me hope that maybe I too would be so fortunate. Having never gone through an experience like this, I had no idea what to expect but wasn’t too optimistic about the outcome. From the day my wife and I retained your services, things went smoothly and calmly. Your staff was always extremely friendly and helpful, never hesitating to answer any of my questions. When Bill called us to say that he had successfully negotiated a settlement – one that took back our lemon, paid off the balance owed, and refunded our down payment & monthly payments (less usage/mileage) – I was completely blown away. Your firm did what I thought was impossible, and did it quickly and smoothly. So, here I am – gratefully writing another glowing testimonial of the Law Offices of William R McGee. If you are reading this, trying to decide on a law firm to handle your lemon law case – take my advice and LOOK NO FURTHER. You have found the best there is, trust me. Thanks guys. As far as I’m concerned, you’re the only law firm worth calling. I’ve handed out your cards and told everyone I know how well you handled this case. Owning our lemon was a disappointing and frustrating experience, but your firm made it feel like it never even happened. Thank you so much. Again, we are so appreciative of your expertise and counsel. We would be happy to be a customer testimonial anytime! I just wanted to write and thank you and your amazing staff (James Ludwick and Randy Sottile) personally for the incredible service I received. Your organization helped me out so much, which meant a lot, especially when I was pregnant! Wishing you all a happy holiday season and a very successful 2008 !! You would hope expensive vehicles would not have major problems. But, even if they did, you would expect the manufacturer to be quick and diligent to resolve the issues. Unfortunately, that was not the case for us. After spending over $70K on a new vehicle for my wife, I was expecting superior quality and service. But, after the first week of ownership, our check engine light went on, and the problems manifested themselves from there. My primary concern was my wife’s safety, as the vehicle stalled three separate occasions in the middle of busy traffic. But still, after all this, the manufacturer was not willing to replace the vehicle. That is when we made the phone call to the law offices of William R. McGee. From our first call, they were very professional, courteous, and thorough. They reviewed all of our invoices and informed us we had a good case. As you can imagine, we were very nervous as we never thought we would need an attorney to deal with a car problem. This was the first time we have had bad luck with a vehicle (and we have owned over 20…). In addition, our frustration level was very high, and we were paying for an expensive luxury car that we stopped driving as we no longer felt safe. Once we faxed back our retainer, the law office was quick to send the manufacturer a demand letter to respond. Within 3 weeks, we received a call from Bill letting us know that the manufacturer was willing to settle our claim. A couple weeks later, we surrendered our vehicle, and a settlement check arrived in the mail. Really, it was that simple! We learned many lessons with this experience. The main lesson was that any kind of car (no matter price, make, or model) may have problems, but not all manufacturers will be as cooperative to resolve them. But, in the end, the law is on your side, and the best lemon law attorney in the business, is clearly, William R. McGee. P.S. A special thanks to Angie, Randy Sottile, James, and Laura for taking all my phone calls and keeping me up to date throughout the entire process! You are the best! Thank you so much for helping me get rid of my [vehicle]. You all were very patient with all my questions! I really appreciate all you’ve done. I would like to thank you for your fast work in the repurchase of my [vehicle]. The return transaction with (manufacturer) went smooth as silk, and I’m already driving my new replacement car! Thanks for your quick attention to my problem, it happened faster than I expected. My sincere thanks to you and your staff for the professional manner in which you handled our Lemon Law case. My wife and I were impressed not only with the outcome, but also with the expediency in which you settled the case. The amount of the settlement far exceeded our expectations. You and your team are truly experts in the field of Lemon Law, and we will happily recommend you to anyone that requires this type of legal assistance. Thanks to your help our family was able to buy a new car. If in the future we get another lemon car we will most definitely call you and keep your number at hand. Please find enclosed our check for your services. It was well-spent. We especially want to thank Mr. Randy Sottile. Randy is well informed and gave us accurate information. In addition, he would notify us promptly, and return our phone calls quickly. Everything was done in a timely, efficient manner, and we could not have gotten better service anywhere. We have referred several clients to you and will continue to recommend you highly. I hope we don’t need your services again, however if we do, you will be our first and last phone call. You just can’t imagine how many times I think of you for making my life so great. I appreciate very, very much your enforcing my legal rights regarding the Lemon Law. [The manufacturer] came through thanks to your continued efforts, and I will never forget that. Thank you so much! Just wanted you to pass along this note of gratitude to your organization. My wife and I are so very pleased by the efficient, effective, and rewarding process initiated by Mr. McGee and your organization. We wish to extend our deepest gratitude to Mr. McGee for his efforts on our behalf. Already there are a number of friends and colleagues who have his business card and are keeping his name for reference should any problems occur in the future. Again, thank you so much. Thank you so much for all of your help in this case. We appreciate it so much. Thank you for helping us win and being patient with us every time we called. My wife and I wished to thank you for a most prosperous and rapid conclusion to the problems we have with our [vehicle]. Every phase of the process took place exactly as you advised us, and we consider your fees for the resolution to be modest and fair. We would like to add that is was a pleasure doing business with not only you, but also your entire staff, such as Laura and Randy. You and they were always informative, friendly, and most importantly responsive to our needs and calls. I will highly recommend your services to anyone I know that is having a possible “Lemon Law” problem. We would both like to personally thank you for all of your services and promptness in our “Lemon Law Case”. We just purchased a new [vehicle] and are very happy. We will refer any possible clients your way. Again – Thank You. Thank you! Thank you! The surrender of my [vehicle] and the refund check – I honestly didn’t believe would happen. You have been outstanding to work with & I appreciate all your efforts. This is just incredible! I would like to thank all of you for helping me with my “lemon” car. If it weren’t for each of you, I would not be driving my new car. I sincerely appreciate the hard work that went into my successful ending. Thanks to all and a special thanks to Mr. McGee and Laura. Thank you so much. We appreciate all of your help. Please thank Randy and Jennifer. Another happy client! Pedro L. & Silvia A. My husband and I would like to express our gratefulness for your help in solving our car problem. All your Staff was helpful & kind. We want to thank you so very much for all of your help with our [vehicle]. Your entire staff was friendly and helpful through the entire process. Thanks again. Thank you for all your help in settling our claim with [the auto manufacturer]. Your firm will be highly recommended to our family and friends should the need arise. Thank you so very much. We couldn’t have chosen a better law office to represent us. You’re great! I just wanted to take this time to thank you for your help in settling the problem I had with my motor home. You are a very professional person and I feel that your domineer in the Court and with the representatives from [the vehicle manufacturer] were one of the contributing factors why they settled out of court. I hope I never have to use your services again, but if I do, or I know of anyone that needs your kind of representation, I will not hesitate to recommend you. Thank you for the timely resolution of our case against [the vehicle manufacturer]. Your name and reputation must “shake ’em in their boots.” All persons I have been in contact with in your office have been more than helpful. Thank you again! Yesterday I took the [vehicle] back and the transaction was pleasant and swift with really nothing said by either of us as to why, how and etc. My wife Jean and I want to say Thank You Very Much with your help. We are very pleased with the outcome as well as you and your staff are. If at any time you need a recommendation or testimonial as to the effectiveness of your office, please feel free to pass on my name and number. From the 1st. conversation with Randy, to receipt of your first letter, each of you was always professional, helpful, and quick to respond to questions and concerns. We have had several occasions to employ attorneys and this is the 1st. time we have felt compelled to and felt it appropriate to say THANK YOU. Cathy B. & Ken M.
I wanted to personally thank you for your hard work in regards to my lemon law case. I was very pleased with the entire staff and the handling of the case – and of course very pleased with the results! I am happily driving a new (car brand). I will not hesitate to recommend your services to anyone in need. Thank you! Thank you so much for the professional, courteous and expeditious way in which you handled my case for my 2001 (car brand). I will certainly recommend your firm to anyone needing a “lemon law” attorney. Thank you for all of your help with resolving my case. I had tried so hard on my own to resolve my Lemon Law case with (manufacturer), and was un-successful! You made my experience with the re-purchase of my vehicle from (manufacturer) painless, and quick! Without your help, I don’t know what I would have done! Fire season has kept me pretty busy so I do apologize for this “Thank You” being so late. You did a fantastic job for me. Please ensure this thank-you is seen by all involved. You deserve a 5 Star rating. I will send you all the business I can. Thanks again. I want to congratulate you for a job well done. I was surprised how fast the case was settled. I expected (manufacturer) would drag the case past 6 months like our (car brand) lemon law claim previously settled by your firm. I won’t hesitate to refer your firm anytime. I hear of someone suffering the same plight with a new vehicle under warranty that we were subjected to. It’s good to know that there is someone looking out for the rights of the consumer. We look forward to our refund check from your firm soon. Thank you for your help in this matter. I found you to be easy to work with and highly attentive and efficient. I hope I never have to call on your services again, but rest assured I would recommend your firm to anyone in a similar predicament. Please let me not only congratulate you but thank you for all your help, support, and a job well done. I do not know how much more I can thank you, Randy, Laura and all of your staff for all their help with this case. It has been almost 365 of frustrations, headaches and problems ever since I signed that new car purchase contract with (manufacturer and dealer). Just when I lost hope on everything I thank a few people who suggested me to contact a lemon law attorney to help me with my case and I’m thankful that I found your offices and was able to receive your services. I believe I tried everything I could to settle this problem and you were the one that made that happen with the help of your staff. Please be aware that I will refer you any friends and people that I know that might be in the same situation that I went through. You and your staff came very well referred and I’m sure you will be able to help many more clients that will unfortunately go through the same situation with lemon vehicles that as you and I know, as vehicle’s get cheaper sometimes also their manufacturing quality unfortunately also gets cheaper. Again, thank you very much, thank Randy and Laura for me, who supported me and gave me the best client support and help they could give to anybody. I hope you will continue with success and health in the future. I apologize for any inconvenience with my impatience over the situation, but I’m sure you understand me and the frustration I went through. Please accept this letter as our gratitude for handling our lemon law case and for its closure. While we were prepared to “go the distance” with (manufacturer), we are grateful that a settlement could be reached and that our troubles with our (brand of vehicle) are now part of the past! We are very happy with our new vehicle purchase albeit not what we originally intended to buy, but you do what you have to do to ensure there isn’t a repeat of our just concluded lemon vehicle experience. We wish to thank your staff – they were all wonderful and seemed to be familiar with my case just in name recognition. That says a lot about their attentiveness to detail to each client and it showed. We had enough faith in your firm that we referred (new client name), whose case was happily resolved even before ours as a result of retaining your services. Again, thank you for helping us get out of our lemon vehicle and best wishes for you and your staff. c/o Bill McGee – Thank You! I want to Thank You for all your help in this matter. The service was nice and fast (efficient). Just wanted to mention how much your telephone person “Angie” was each time I call – quick and polite. This is very important to a business, just wanted you to know she’s a greatly appreciated and noticed! Also, I did want to mention how efficient Laura was each time I called regarding the status of the case. P.S. : Sometimes we forget in business how to say “Thank You” !! We want to take this time to thank your office for it’s timeliness in handling this matter in the most professional way. It was an excellent experience with what could have been a difficult one if we had not been referred to your office. In the future we would say that we will refer anyone who has encountered this unfortunate situation to your office. Thank you again. This morning while I was driving to work I returned your call and to my surprise your office had resolved my issue with my car! I must say I was totally surprised, I have never been in a situation to where I had a new car and has so many visits to the dealership for the same thing and yet not repaired. Your office was referred to me by one of my employees and I am so GLAD! that I called. I must admit that at first I was not sure that your office could accomplish what I needed done over the phone and by fax and never having to come to you! But you and your employees have been wonderful and what customer service! They are great! Thank you! Thank you! I will tell everyone so if they need your services I know you will handle them just like you did me! Congratulations to you on a victory for me! To Randy, Laura, Bill and staff that made my experience with such a stressful matter turn out hassle-free and successful. It couldn’t have happened with you! Just a quick note to let you know how impressed I am with your services. Jeff G. from (dealer name) referred me and I have to admit that I thought the process of turning my vehicle in would be much more difficult and lengthy – it turned out to be less than 60 days! We wanted to thank you again for protecting our rights under the lemon law case against (manufacturer). We were so frustrated with our car, and the dealership did not seem to care or try to help correct the problems. We didn’t know where to turn. Your office staff was very helpful, and extremely nice. Laura was the person I talked to often, and she did an excellent job. Thank you for your help in getting us out of a “stressful” vehicle. Just a note to say “thank you” for all your time, effort and professionalism on my behalf regarding this lemon law suit. I am very happy it’s over & we were successful! Again, my sincerest thanks! Thanks so very much for getting rid of my car and getting me my $$$ back. I am so thankful for all of you. Thanks for putting up with me when I was stressed out and called a zillion times J I can’t believe it’s finally over with! I will refer you to anyone I know who ended up with a “P.O.S.” like myself. Take care and God Bless! We would like to thank you very much for all your expert help in solving our car problems. We are very happy with the results. Your office is very professional and we appreciate everything you did for us. We don’t own a fax machine or a computer so this hand-written letter is written with much appreciation. Please call or write if you have any questions. I would like to thank both you and your staff for the wonderful job you did in resolving the problem with the 2002 (vehicle) I had purchased. In all honesty, I was a bit leery when I first found you on the Internet. After all, there are many unscrupulous individuals out there. But after first speaking with Randy, he put all my worries aside and was able to answer all my questions. I was pleasantly surprised at his knowledge. Laura also made it a pleasurable experience in dealing with your office. She too was very knowledgeable and a pleasure to speak with. You, of course, made things very easy with your explanations and patience. I appreciate the fact that you kept me “up to speed” with your updates. The young lady that answers the phones for you was also a pleasure to speak with. Her pleasant voice made for a relaxing phone call. The fact that she too could answer my questions is a plus to your office. All-in-all, Mr. McGee, I am quite happy that I did find you and that you were able to help me the way you did. I am very satisfied with what you were able to do for me. I am quite sure that this would have been extremely difficult, if not impossible, with your and your staff’s help. Rest assured that if I ever meet anyone or have a friend in need of a Lemon Law Attorney, I would recommend you and your office without hesitation. Again, thank you so very much for your service. Just wanted to take the time to show my appreciation on the hard work you and your staff provided. I was very pleased with the settlement and the quickness of the case settlement process. Thank you for the professionalism and the accurate information from the initial consultation to the conclusion of my case. I wanted to thank everyone at the firm that worked on our case. I just wanted to say “thank you” guys, you did a good job and we are very thankful. I would like to take this opportunity to thank you and your staff for your professionalism and quick resolution of my lemon law case for my 2002 (manufacturer/model). You have definitely made me one happy woman! I am so happy to have found your law firm on the internet through Yahoo! I will definitely recommend your law office to whoever is in need of this type of service. Again, many thanks for your expertise, professionalism and quick resolution. My sincere thanks to you and your staff for the professional manner and expediency in which you handled my Lemon Law case with (manufacturer). I am very happy with the results in my case. Beginning with the initial phone call, everything was handled in a timely manner and with great professional courtesy. Everyone in your organization that helped me (James, Randy and Laura) has been phenomenal. Your customer service exceeds far anything beyond I can ever imagine. I will not hesitate to recommend your services to anyone I know that is having a possible “Lemon Law” problem. I believe one person is already using your services for their lemon law needs. I need to take this opportunity of thanking you and Randy Sottile for the outstanding result! This transaction far exceeded my expectations in terms of turn-around time, quality of service and end result. I have already referred you to several of my colleagues who were equally impressed with the outcome and speed. You are truly focused on execution and at very little cost to the consumer. I am very pleased to have found you to represent my rights regarding the very obvious problems with my vehicle. What a thrill it was to open our mail and receive a check for $43,284.62 today! When we first spoke with Randy; he was so nice and explained everything in detail concerning the problems with our (year/make/model). Need I say we were scared as we had never done anything like this before. Because Randy was extremely caring we made a decision to do a claim. We are so glad we did! Thank you so much for doing everything you said you would do. We will certainly refer to you anyone who shares that have a similar problem and do not know what they can do. These Law Offices of William R McGee Client Testimonials or endorsements do not constitute a guarantee, warranty, or prediction regarding the outcome of your legal matter.